Keep reading to learn how trigger point therapy works! First things first: Trigger point therapy can be used almost everywhere on the body. “Many people receive trigger point therapy in larger muscle groups like the glutes, hamstrings, quads, trapezius and more,” says Millhouse. “But because trigger points send pain to areas that are hard to determine by the people experiencing it, sometimes therapy is needed in places you might not expect.” Think of places like your mouth (to combat TMJ), your neck (to help thoracic outlet and carpal tunnel syndromes), and even your pelvic floor. “Trigger points are found all over the body. Therefore, you can use them on any area of the body,” Lim says, although most of her clients experience them in the neck and shoulders. It all starts with a nerve placed over a muscle fiber. “That area is called the motor end plate, or neuromuscular junction,” she says. “At the motor end plate, a chemical signal is sent from the nervous system that tells the muscle to contract. If there’s an imbalance in the area (often caused by an injury that strains the muscle or by repetitive overuse), then a trigger point can form. As far as the therapy is concerned, the sustained pressure applied by a massage therapist interrupts the nerve signal and causes the muscle to let go.” It will also “encourage blood and oxygen circulation and release lactic acid from that muscle,” says Lim. It’s important to note that most people seek trigger point therapy when they’re experiencing active trigger points, rather than latent trigger points. According to Michelle Macomber, CMTPT and LMT, a myofascial trigger point therapist based in Maryland, the difference between these two lies in their longevity and painfulness. “The active trigger point produces the unrelenting, debilitating pain, which motivates people to seek relief. It hurts when pressed with a finger, causing pain around it as well as referred pain to other areas. Because of this, trigger point therapy is always helpful, even for those who don’t think they need it due to a lack of concentrated pain. “If you’ve ever thrown your back out or woken up with a painfully stiff neck, unable to turn your head, chances are that you may have some trigger points that became activated and then went back to a latent state after a few days of taking it easy,” Millhouse adds. “Trigger points are usually the last thing people suffering from chronic pain ever even learn about. Hannah Johnson, certified sports and remedial massage therapist, uses trigger point therapy often, since “it is such an effective way to reduce pain and tension very quickly for a client.” The actual technique involves “holding pressure (using thumb/finger/elbow) for at least 30 seconds on the point of tension or where the client is feeling pain. Whilst maintaining this pressure, gradually the pain starts to reduce. At the beginning, the client may feel sharp pain, but within 30 seconds, that pain can reduce dramatically or disappear altogether.” While it may be painful at first, Millhouse says that it shouldn’t be too intense. “A well-trained therapist should work well below the maximum pain tolerance of their client to hold the spot until pain diminishes and the trigger point is resolved,” she says. Since only trained therapists know how much pressure to apply, she cautions against trying a DIY trigger point therapy. “In general, I do not recommend that my clients use tools to work on their own trigger points because it can ‘hurt so good’ that they overwork the muscle and cause further damage.” However, if you’re dead set on trying it out yourself, Johnson says to be aware of the length of time and the amount of pressure you’re applying. 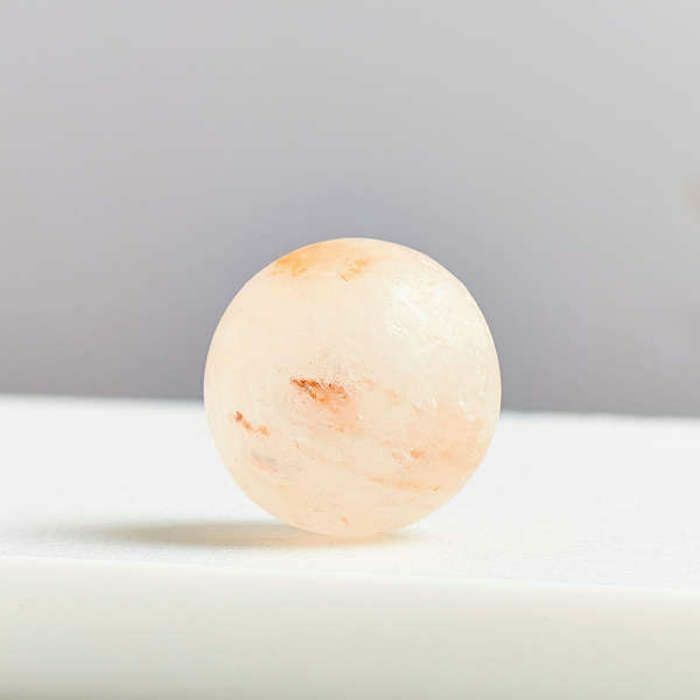 “For difficult-to-reach areas on your back, for example, use a tennis or lacrosse ball to apply the pressure by standing with it wedged between yourself and a wall. Rock slowly to find the area of tension and lean back gently letting the ball do the work. Release when you feel the pain subsiding. Remember to breathe deeply as you do, and don’t hold a particular point for more than 90 seconds,” she says. Macomber says that most pain people seek to diminish can actually be directly alleviated through trigger point therapy. “It is estimated that as much as 85% of pain for which people seek medical attention is myofascial (muscle and connective tissue) in origin. A myofascial trigger point therapist knows that effective treatment that lasts is not only composed of locating and appropriately treating the significant trigger points but must also address perpetuating factors (the things that keep people from getting better) and offer a rehabilitative movement program.” In other words, if you want to feel better and get your muscles functioning optimally, you might have to tweak some lifestyle choices. “I can give you the greatest treatment in the world, and you can walk out of here feeling like a million bucks, but it doesn’t help if we don’t talk about that crazy position you sleep in or the 27 cups of coffee you have every day—the pain is just going to come back if we don’t figure that stuff out,” says Macomber. All of our experts agree that stretching regularly is key to preventing these trigger points. Just be sure to keep good form. “Sometimes the stretches my patients are already doing only need a few minor adjustments to make them effective so pain finally vanishes,” Macomber says. As always, eat well, exercise, and keep good posture. All of these things contribute to healthier muscles and a more pain-free you. 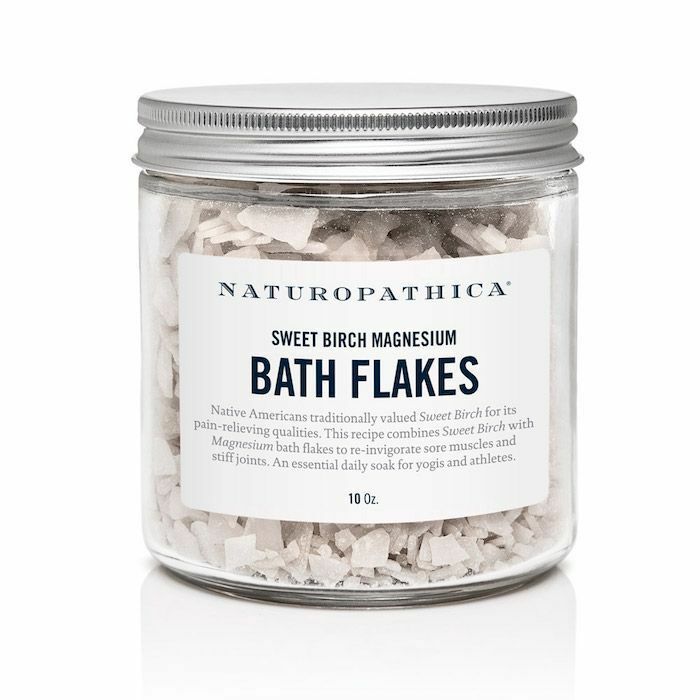 But if it’s too late for prevention and you’re currently experiencing muscle pain, Lim suggests applying “an arnica based product like Naturopathica’s Arnica Muscle Recovery Gel ($28)” or soaking in a bath with Naturopathica’s Sweet Birch Bath Flakes ($36). The latter combines sweet birch with magnesium to alleviate sore muscles and stiff joints. Will you try trigger point therapy? Let us know in the comments below! In the meantime, see the stretches you should do if you sit at a desk all day.